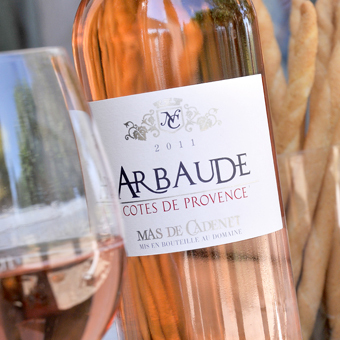 Arbaude is the name of the main plot planted on a clay soil under the Côtes de Provence Appellation. 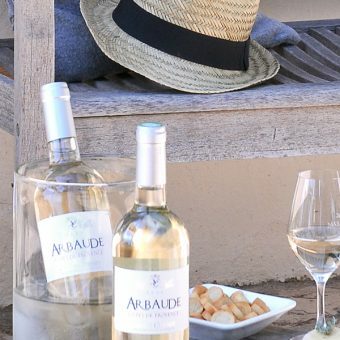 These delightful wines with intense fruit flavours are a perfect match for an aperitif with friends. They also pair really well with exotic food. Picking of the grapes at rising maturity, early morning (must at 10°C). Low temperature alcoholic fermentation (18°C). Clear and intense colour. Red fruits on the nose. The mouth is lively with layers of gooseberry and fruit drops. A lively wine best served at 10°C. This bright coloured wine has layers of kiwi, apple, citrus, white flowers and peache. The attack is crisp on the palate and the finish pleasant. Destemming, pre-fermentation maceration at 15°C. Alcoholic fermentation at 30°C, Malolactic fermentation. Blending of the grape varieties and ageing in vats for 8 months. A deep red colour, scents of fresh black fruits going from blackcurrant to gooseberry. 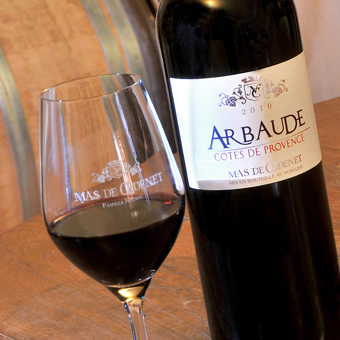 The mouth is round and supple evokes a basket full of black fruits with hints of licorice and leather. Best drunk at 16°C with cold cuts or BBQ.